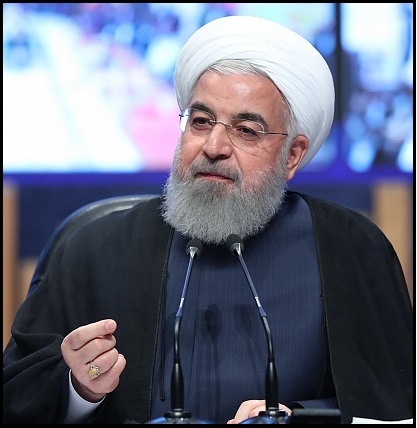 On May 7, President Hassan Rouhani suggested that Iran could remain in the 2015 nuclear deal even if the United States withdraws. “What we want for the deal is that it's preserved and guaranteed by the non-Americans,” he told officials in Mashhad, the country’s second largest city. Rouhani was referencing the other parties to the 2015 accord — Britain, China, France, Germany, and Russia. He also warned that the United States would become more isolated if it does not fulfill its commitments. “Public opinion and the governments around the world, with the exception of a few countries, will condemn the U.S. and not blame Iran,” he said. The United States will “later regret it and realize that it has made a strategic mistake,” he warned. President Donald Trump has threatened to withdraw from the accord if the so-called “sunset clauses,” as well as other issues outside the deal, such as Iran’s missile program and regional intervention, cannot be “fixed.” Trump is slated to decide the fate of the Joint Comprehensive Plan of Action (JCPOA) by May 12, when sanctions waivers for Iran are due for renewal. But Iranian officials have rejected outright any changes to the 2015 nuclear deal. “We will not negotiate our defensive weapons with anyone,” Rouhani said in separate remarks on May 6, seeming to allude to his country’s ballistic missile program. The following are excerpted remarks by Rouhani. "The U.S. will not be able to do anything against the Iranian nation."